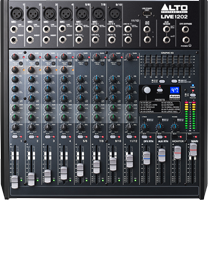 PA Hire Norwich offer a wide range of live audio mixers from 6 channel basic units to professional live mixing desks (please contact us for information). The Alto Professional Live 802 is a pro 8-channel, 2-bus mixer equipped with the tools you need to create the perfect mix. With flexible routing options and a multitude of onboard DSP tools, Live 802 fits the demands of nearly any live performance environment. 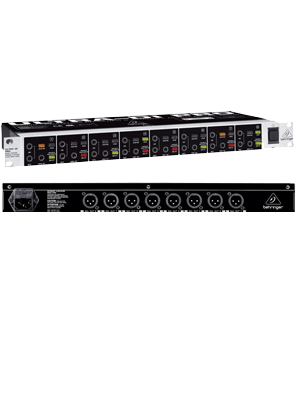 It features 5 balanced XLR inputs with switchable phantom power, 3-band EQs for additional tonal shaping, two aux sends per-channel for external effects and monitoring, and a 9-band graphic EQ for main or monitor outputs. Combined with one of our active systems you can quickly connect multiple mics and a stereo audio source such as an iPad or Laptop. 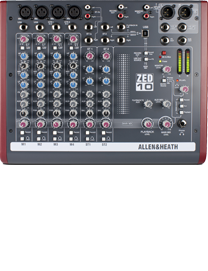 The ZED-10 comes equipped with configurable USB audio in/out so can be used for live recordings or in the studio. It has pro XLR stereo outputs, headphone and speaker feed outputs plus the class A FET high impendance outputs allow you to plug your guitar right into the mixer. 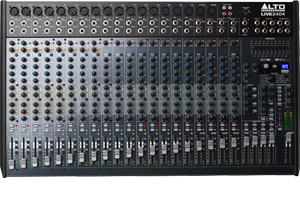 The Alto Professional Live 2404 is a pro 24-channel, 4-bus mixer equipped with the tools you need to create the perfect mix. With flexible routing options and a multitude of onboard DSP tools, Live 2404 fits the demands of nearly any live performance environment. Ideal for a wide range of event especially when combined with our larger PA systems. Qu-24eshapes digital mixing, combining innovative design and exceptional functionality to create a superb professional mixing experience. 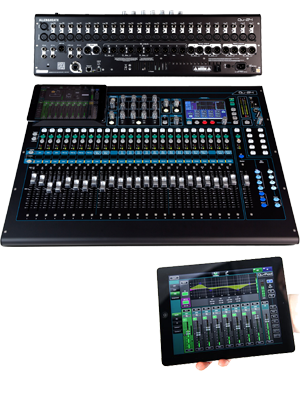 Bristling with all the features you’d expect from a top of the range digital console and incorporating technologies pioneered on the GLD and iLive digital mixing systems, Qu-24has the power and pedigree to deliver class-leading audio performance. 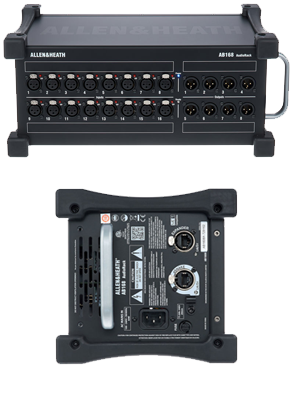 AB168 is a portable AudioRack, providing 16 XLR inputs and 8 XLR outputs when connected to a QU24, or to an AR2412 AudioRack. Featuring 16 mic preamps with Phantom Power indicators and 8 XLR line outs, AB168 runs on Allen & Heath’s proprietary dSNAKE protocol. This unit can only be hired alongside the QU24 mixer above. The Behringer DI800 Ultra-DI is an 8-channel DI box that is capable of accommodating virtually any input signal thanks to the extensive inputs, up to 40dB of switchable input attenuation and up to 20dB of gain. With the Behringer DI800 Ultra-DI as your go-between, impedance-matching problems become a thing of the past while your precious tone remains consistent even with long cable runs. *Dry Hire – Item can be reserved & collected from our Norwich depot, we accept bank transfer, cash and all major debit and credit cards. *Delivered – Is only available for multiple items and delivery cost will apply.  All equipment will be setup & collected by our sound engineers – for delivered hires we require bank transfer in advance of the event date. PA Hire Norwich accept all major credit and debit cards over the phone securely through World-Pay. We also except BACS (our bank details are on every invoice provided). Great equipment and set up. The speakers were loud and the guys did everything we needed. Would recommend.